Don't get caught at Coachella, Stagecoach, ACL, Kaaboo, Lollapalooza, Ultra, Bonnaroo, Firefly, or Sasquatch without a rockin' awesome lineup of stylish high fashion sunglasses! The Aviator Sunglasses Multipack is sure to be the envy of your entourage as you confidently sport fashionable and trendy shades for every occasion, and the best part is...you don't have to sacrifice your paycheck to look amazing! Thank you for rocking with Sunscape - you have impeccable taste. CHEAP PARTY SUNGLASSES. 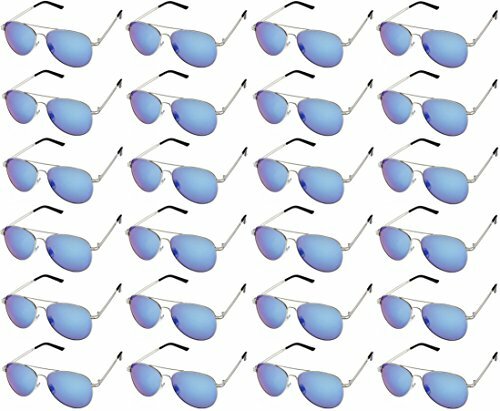 High quality sunglasses perfect for Coachella, music festivals, costume parties, bachelorette parties, bridesmaid parties, party favors, weddings. BULK SUNGLASSES. Bring all your friends along and have everyone showing up in high fashion, without breaking the bank! DESIGNER FRAMES AT WHOLESALE PRICES. Have a trendy and stylish pair of shades for whatever outfit you're rocking or whatever mood you find yourself in. You can never go wrong with a classic pair of Aviators. SUNSCAPE EYEWEAR. Based right in the heart of sunny Southern California, we're no strangers to designer high fashion sunglasses, and we're committed to bringing them to you at the best prices! If you have any questions about this product by Sunscape, contact us by completing and submitting the form below. If you are looking for a specif part number, please include it with your message.